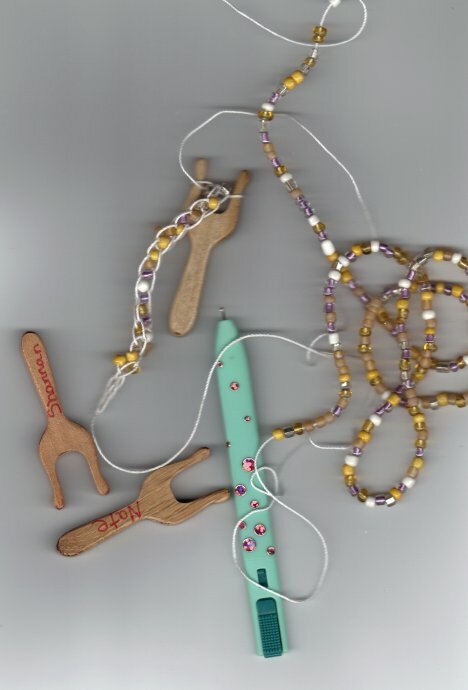 Tatting, Beading, Crochet, Sugar Sweet Treets and Sequin fun!! Isn't it fun,,as soon as I seen the vid on youtube,,,I had to MAKE my own lucets last year, and try it!!! I haven't done the beads yet,,, but yea it is a BLAST!!! hmmm bet the little grand daughter would like it too! Wow, gosh you are really good at this and I haven't got any further at all! Now you are encouraging me, thanks. Cool! That's what we do. Married to my love since 6/18/1998. Mother of Shannan 4/99, Nathaniel 6/00 and sadly an angel babies Harlow 2/24/11 & Jamie 5/15/11. We have 4 dogs and 10 hermit crabs. My children are my life. My husband is my rock. I have been tatting since 11/2002 and been at is since. I recently started beading and am finding it rather addicting. I have the most wonderful friends who help me through everything. Our Tiny Angels "Harlow & Jamie"